A reissue of the 1795(?) revised edition with a reset titlepage and new dedication signed: The editor. 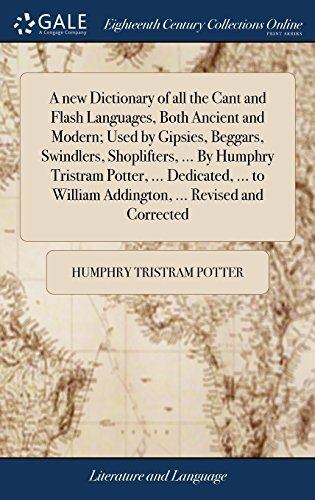 First published in 1790 as 'A dictionary of all the cant & flash language'. A Catalogue of a Very Large and Fine Collection of Valuable Books, in All Arts, Sciences and Languages; ... Which Will Be Sold Very Reasonable, ... by Leigh and Sotheby, ... Beginning January 1, 1785.